I was on a few different blogs and some have networked blogs that are through facebook. Have any of you thought of doing this or know anymore about it?? I was a bit curious if it was safe for one and two if it was something that should be done or not. Any input would be greatly appreciated. Now onto the cards I created. I made two cards they look the same, but one has a "Son" embellishment I got a while ago. I was waiting for the right time to use this. 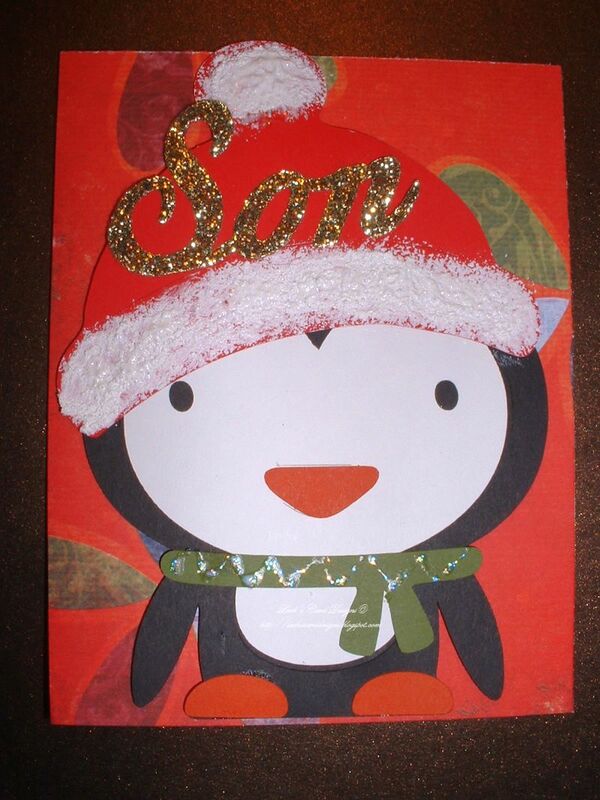 My son will like his penguin card. How many are ready for Christmas and how many still have gifts to wrap and or purchase??? 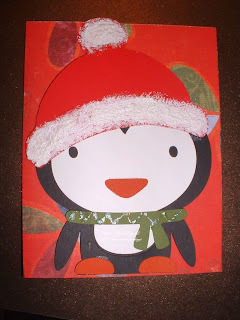 Love the penguin cards! Really cute! I signed up for the network blog thing. Not quite sure how it works but I haven't had any problems.